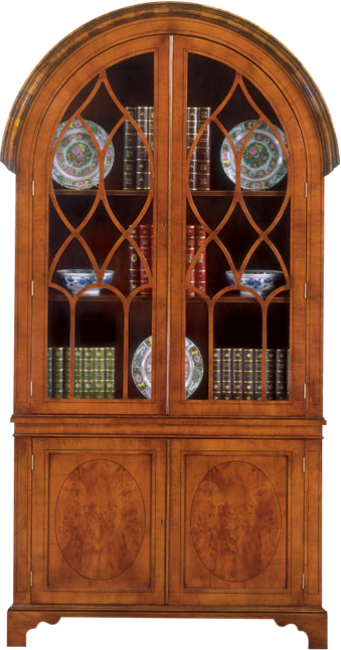 Dome-top bookcase with Astragal glazed doors. Oval inserts in lower panel doors with ebony stringing. Adjustable shelves. Bracket feet. Pictured iin Yewwood.